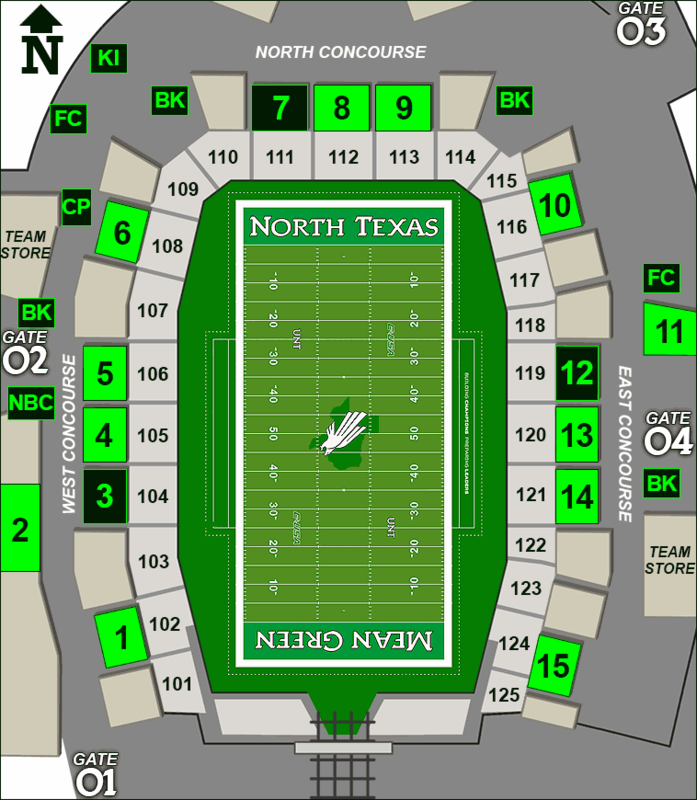 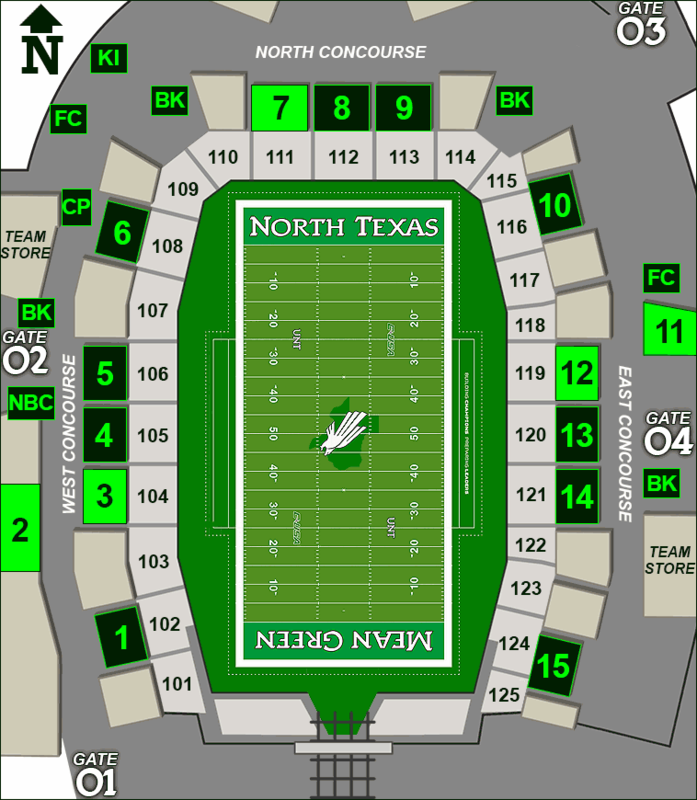 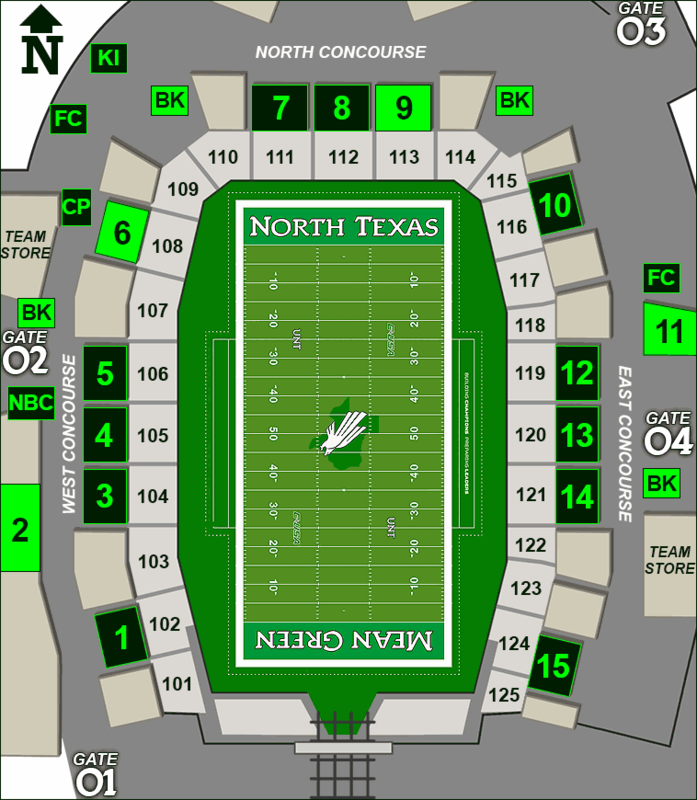 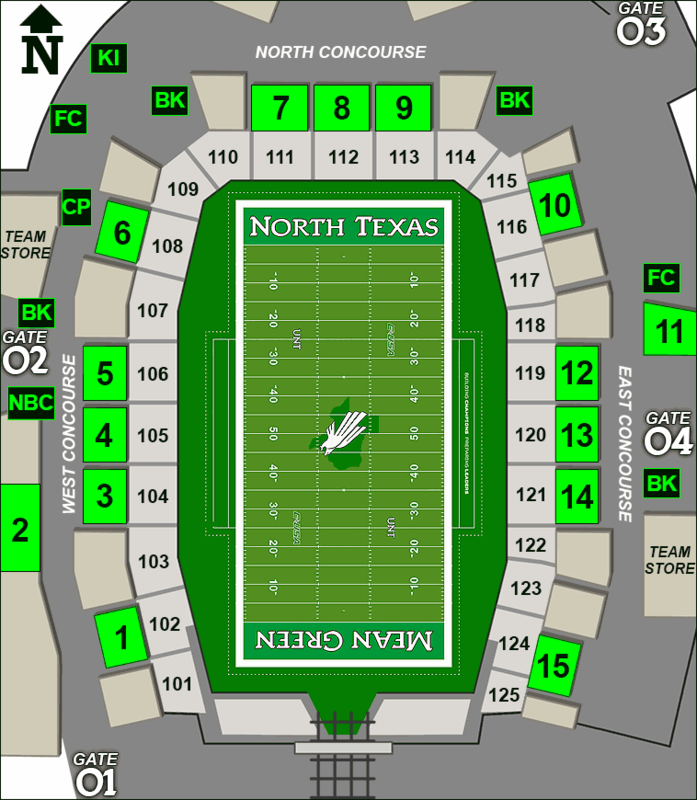 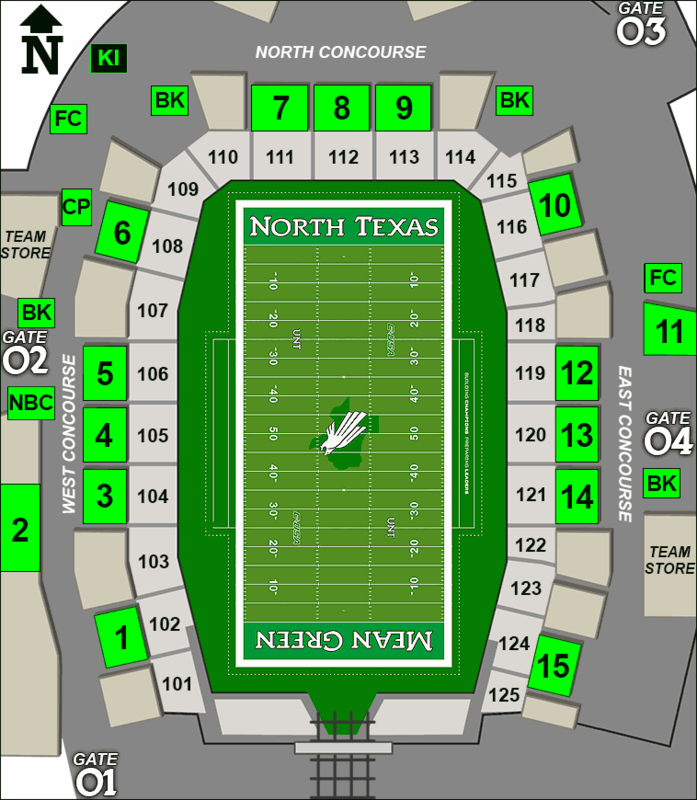 Click the tabs above for lists of vendors, food, and drink available at Mean Green football games. Select from the lists to see menus and where those items can be purchased at Apogee's concessions booths. Click here for a printable menu and map.